Looking for a few Good Men . . . Authentic, 21st Century Men, that is! Not long ago while listening to a NPR broadcast concerning Masculinity in the 21st Century, I was caught up by an interview of a woman journalist who had written about 'what it means to be a man in the 21st century.' The concept of a woman reporting on and defining, or attempting to define, masculinity was a bit off-putting. We tread on thin ice when a woman, or women define manhood and/or masculinity, just as we do when a man, or men attempt to define women and femininity. Sure, we all carry these contra-sexual aspects within, but that doesn’t make Man an authority on femininity, nor Woman an authority on masculinity, anymore than it makes a lefty an authority on a righty. The interview soon shifted away from a woman’s definition of masculinity and to pop-cultural definitions of manhood. Perhaps I was still ruffled by this lefty-righty thing, but I also considered it quite shallow to have masculinity or femininity defined by fleeting fashions of pop-culture, for as naturally as DNA defines genetics, archetypal patterns define the psychological and spiritual makeup of masculinity and femininity—not passing trends. Now, speaking as a man about masculinity, I can say that many 21st century men have been raised by women—without a masculine role model—and what they've learned about being a man has been defined by the media, the women’s movement, and many other distorted social norms. Often, such men discover that they are no longer able or willing to carry these externally imposed values and instead seek alternative definitions of masculinity and lifestyles. Some would call these periods of change a crisis; others would consider this a step in the direction of mental health. Regardless of how we label this time of soul-searching, it ultimately calls for a willingness to suffer the unknown. The rewards for such courage often prove quite beneficial. For those willing to take on the task of becoming an 'authentic' man, one can expect to gain a more defined sense of self who is moved by his own internal values, and in turn experience a more meaningful and fulfilling life. However, all the compensatory posturing, chest-pounding or drum-beating in the world won't revive this great masculine spirit. This can only be accomplished by developing a deeper relationship to soul, to the archetypal patterns or energies that comprise the core aspects of our beings. The mental landscape of metaphors—dreams, stories, myths, fairy tales—deal with the eternal truths of human nature and are the language of soul. 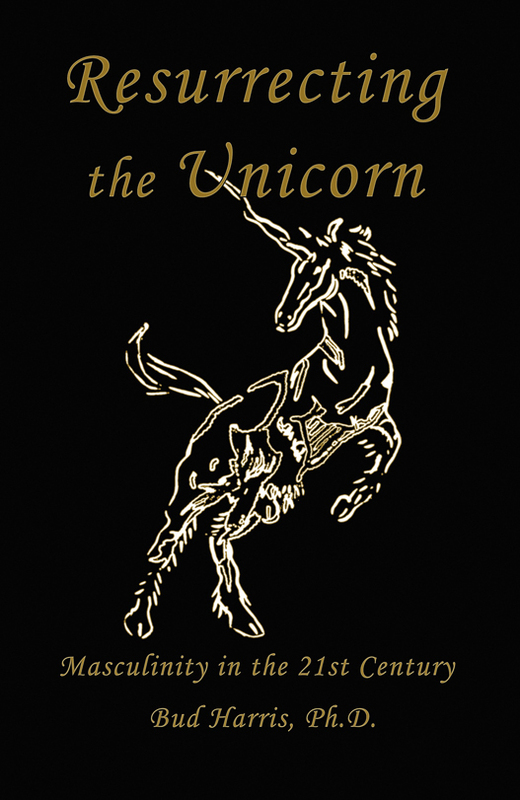 In the recently published book Resurrecting the Unicorn: Masculinity in the 21st Century, Bud Harris masterfully guides readers deep into the realm of metaphors where we can examine the evolution and development of human consciousness and reclaim discarded, yet much needed, integral aspects of our masculine natures. "True masculinity—not the macho type—is needed for men to be strong enough to meet the feminine in themselves. For this they must find their own masculine face—not a face defined by women," suggests Bud Harris in Resurrecting the Unicorn. Harris then delves into the fairy tale, "Fyrtoiet," better known as "The Tinder Box" by Hans Christian Andersen, where an "Elemental Blueprint for Developing Masculinity" is extracted from the symbolic metaphors of this wise old tale. Perhaps it’s time to pick up where Robert Bly's Iron John and Sam Keen's Fire in the Belly left off in the last part of the 20th century. If you're ready to explore and claim an 'authentic' masculinity from a place that calls for a great deal of courage, where truth, values, and integrity are defined from within, not by antiquated beliefs or pop-culture, then Bud Harris' Resurrecting the Unicorn is certainly worthy of your time and attention. Resurrecting the Unicorn: Masculinity in the 21st Century , ISBN 978-0-9810344-0-9 is available from the publisher, Fisher King Press by calling 1-831-238-7799. This timely publication is also available from your local bookstore and from a host of online booksellers. Permission to reprint this article is granted. by Lawrence H. Staples, Ph.D. In his book, The Restoration of the Self , Heinz Kohut wrote at length about psychically wounded people and the therapeutic methods he used to help them. He found none more effective, or so essential, as creative work. He found, importantly, that it made no difference whether the creative work was deemed good or artistic by any standards. The simple process of doing creative work helped restore the self. It is as if nature plants within us a built-in remedy for our worst affliction, the affliction of being separated from large parts of ourselves. We experience this separation as a kind of inner civil war that divides us internally. It produces the pain and suffering inherent in any civil war, whether in our internal world or outside. It seems that the human urge to do creative work is a compensatory impulse and blessing that arises from the psychic civil war that wounded us. In my own work as a psychoanalyst, I have witnessed the truth of Kohut’s findings. I have watched patients grow in wholeness as they began to work creatively in a variety of media that helped them recover and restore lost aspects of themselves. Creative work mirrors us in a way we were often not mirrored by our parents. It mirrors us for the simple reason that we can see projected in it, if we look and interpret carefully, our own psychological and spiritual selves. Mirrors in all their manifold forms and guises help restore the wounded self. Humans simply cannot see themselves without a mirror. Some mirrors, however, are better than others. Some are flawed or distorted so that we see ourselves, but only partially or inaccurately. From early on in life, we depend upon other humans to reflect us back to ourselves. But later in life, if we are lucky, we find that creative work and dreams mirror us more faithfully. We discover that human judgment taints and/or limits what is reflected back. Once we discover that we can mirror ourselves through creative work, we gain a modicum of self-sufficiency. We are no longer entirely dependent upon others to see us. We may wonder why it is that humans cannot see themselves directly, why it is we can only see ourselves indirectly, as an image reflected by mirrors of various types. 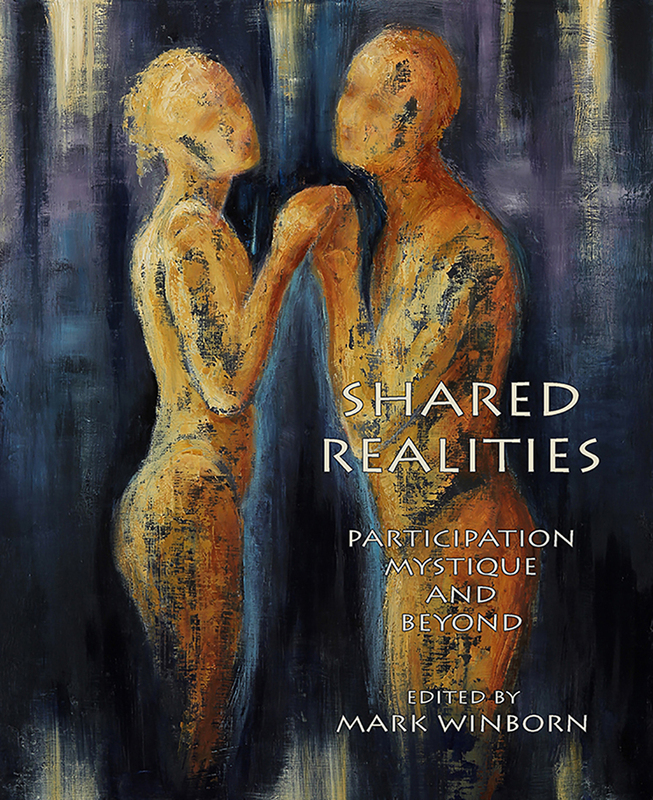 As we know any reflective surface, other humans, dreams, and our creative production can serve as mirrors to help us see ourselves as an indirect experience. The secret behind our need for reflective mirrors to see ourselves may be found in ancient wisdom, which informs us that to look into the face of God is to die. This wisdom says that to see the totality, to observe the Tremendum directly, is dangerous. We could infer from this wisdom that to see our own totality, our self, would be equally dangerous. It may explain why Perseus, powerful as he was, could not look at Medusa directly. He could only safely see her in the mirror provided by his shield. At the bottom of the unconscious, represented by the Labyrinth, he would find his own dark side, and could not look at it head on. It doesn’t take too much imagination to suspect that seeing the darkest side of God, or our self, could be a shattering experience. That may be why we hide our darkest side as assiduously as we can in the shadow, necessarily protected from our seeing it until a reflective mirror appears to reveal it to us safely. As Kohut has observed, we do not have to be professional, creative artists to do creative work that helps us integrate and restore lost parts of ourselves. The integration of opposites takes place through the mirroring effect of the work and its symbols and images, regardless of whether or not our output is deemed by others to be artistic or good. It is the creative process that integrates opposites. It helps make us whole. It helps make us whole because it brings back to us the missing opposites that we early in life cut off from our psychic bodies. An example of the attempt to integrate the opposites, and to make one’s self whole through art and its mirroring power, is provided by the life of Frida Kahlo, a Mexican artist, whom I am sure most of you know. Frida was raised by parents who could not have been more opposite. Her mother was Mexican, rigidly Catholic, cool and puritanical. Her mother had grown up in an age when Mexican women were not allowed to say the word buttocks; rather they would say “that which I sit on.” Nor could they say the word legs; rather “that which I stand on.” And, as in the movie Like Water for Chocolate, they were not allowed to look at their bodies. They were taught to feel guilt and shame about their bodies and themselves. Much of what we would call normal life today was cut off from them. Frida’s mother was severe and frowned on much of what Frida did and who she was. Frida’s father was a Jew who had immigrated from Germany. He had a completely different cultural and religious experience from her mother. Many accounts report him to have been overly solicitous of and close with Frida, especially after she hurt her foot when she was nine years old. All the children in her family were girls and she became her father’s favorite, and tried to be the boy for him that he never had, but yearned for. She was torn by the wholly different views and values of her parents but behaved in ways that were more acceptable to her father. She was every bit the tomboy, but she was also a lively and mischievous young girl. In her life, she was very unconventional when compared to traditional Mexican women at the time. She drank, she smoked, she was bisexual, had several abortions, was assertive, and was successful in a chosen career in which she distinguished herself. At the age of 16, Frida nearly died in a terrible accident, breaking her leg and foot, her vertebra in three places, and her shoulder and ribs. She was left partly crippled. 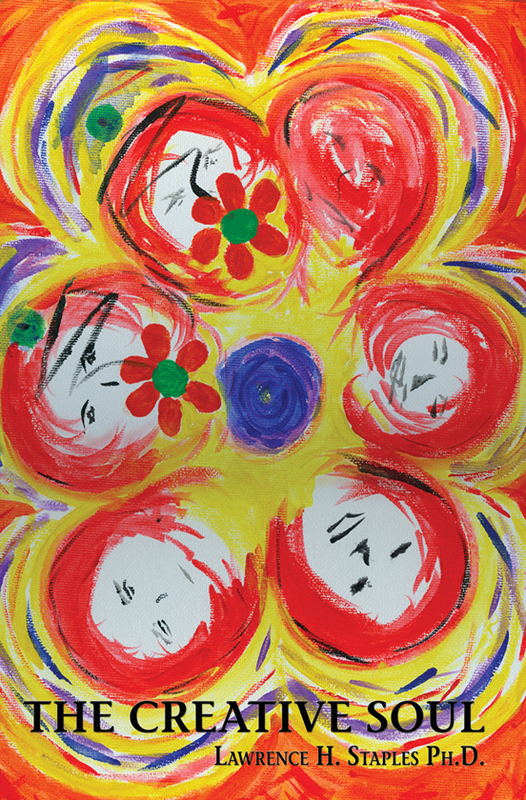 After she recovered, she began to paint. It was as if her paintings were a collage on which she was pasting herself back together. Her paintings were mostly self-portraits. She could literally see herself in her paintings, her mirrors. She was fascinated with her body, which her mother had disallowed. While she was recuperating, she had had a mirror installed over her bed. Some instinct led her to sense the deep need for mirroring that she had not received as a child. Raised in such rigidity, conflicting worldviews, and values, she was cut off from parts of herself, and her painting was an attempt to create her own mirror so that she could restore herself. Her accident when she was sixteen profoundly affected her life and her ability to live it fully. Her painting was essentially her autobiography and a healing endeavor. Lawrence Staples has a Ph.D. in psychology; his special areas of interest are the problems of midlife, guilt, and creativity. Dr. Staples is a diplomate of the C.G. 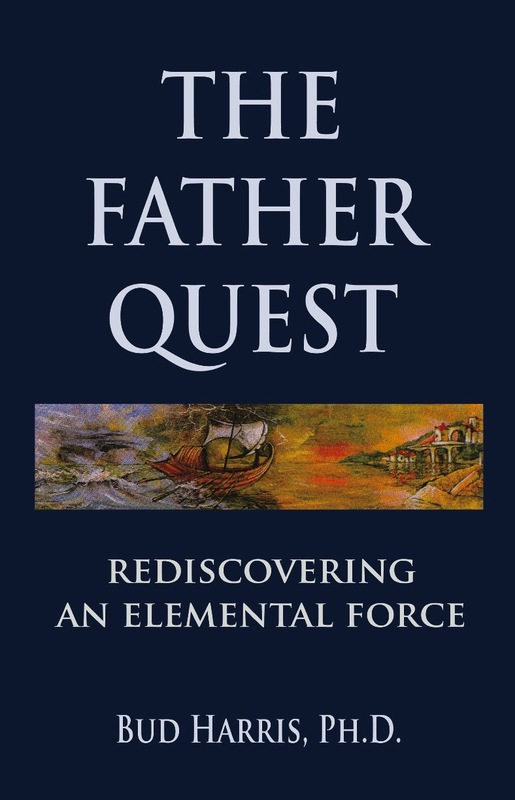 Jung Institute, Zürich, Switzerland, holds AB and MBA degrees from Harvard, and is the author of the popular Guilt with a Twist and the recently published The Creative Soul: Art and the Quest for Wholeness . 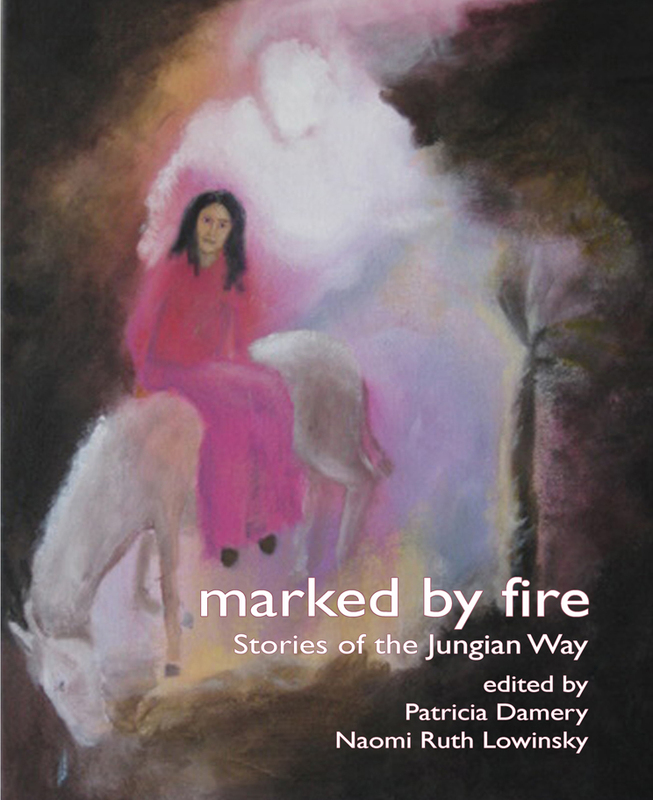 Like Gold Through Fire helps readers to fathom the mystery of their own heart and guides them through life’s labyrinth toward fulfillment and joy. It emphasizes the transforming power of suffering, how it can change us and open our hearts to compassion and joy, and in turn provide for a more rewarding life filled with a wider range of experiences. 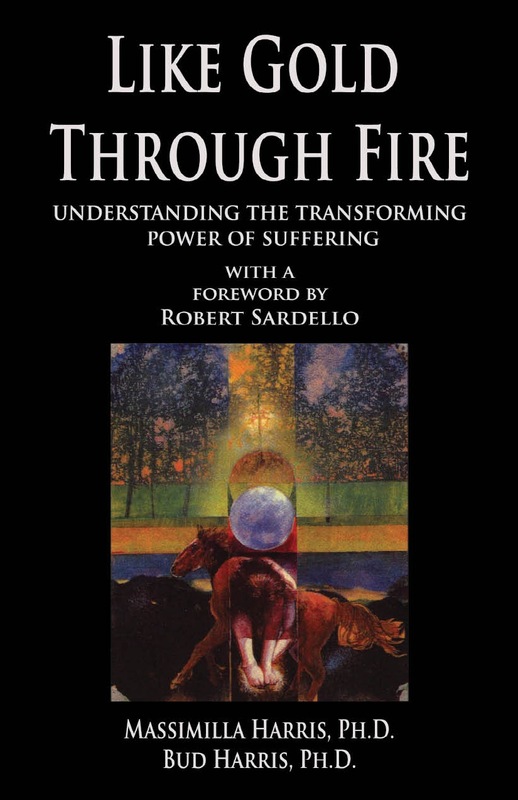 Like Gold Through Fire helps us to find meaning and to function in a society filled with suffering—helps us to participate in the transformation, as opposed to being a victim of our rapidly changing world. Many 21st century men have been raised by women—without a masculine role model—and what they've learned about being a man has been defined by the media and distorted social norms. As is the case for both men and women, without a strong masculine image our souls become fragmented and we lose our way. Massimilla and Bud Harris are diplomates of the C.G. Jung Institute in Zürich, Switzerland. 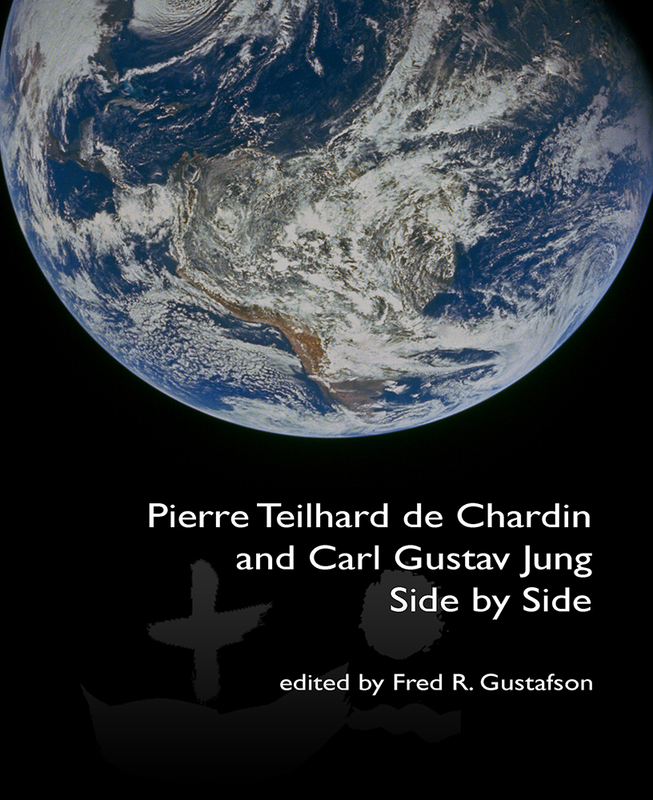 They are practicing Jungian analysts and the cofounders of the C.G. Jung Center for Professional development in Asheville, NC. Bud Harris is the author of several publications including Resurrecting the Unicorn: Masculinity in the 21st Century, Sacred Selfishness: A Guide to Living a Life of Substance and The Fire and the Rose: The Wedding of Spirituality and Sexuality. Our post-modern era is characterized by increasing dislocation and fragmentation. The sense of permanence and constancy of old, is exchanged for temporality and fluidity, i.e., a condition of transiency. Not only do cars, trains and planes carry us across continents faster than most people once could imagine – perhaps with the exception of Jules Verne, but we travel cyberspace in zero-time. Speed in the era of transiency, makes the soulful road of the wanderer seem hopelessly obsolete. Likewise, we are over-exposed to stimuli, information and images: once upon a time we would sit down and quietly look through the pictures of the past, the reminders of our childhood, enjoy a memory, recall days long gone by, share thoughts and feelings from a time that could be brought alive by the one photo from that day. Today, we are flooded by digital photos, numbered almost into infinity. Rarely do we remain more than seconds to glance at each photo, and even more rarely do we return to them – often unaware that what warrants no return, loses its soul. It is by reflecting on the events in which we partake that we induce them with depth and meaning, but speed and superficiality seem to supersede depth and reflection. We are flooded with images, but the onslaught of external images disrupts the flow of internal imagery. Excessive exteriority impinges upon the imagery of interiority. In post-modern transiency everything is imaginable; yet, interiority is losing out to the externally produced image, which deceptively is taken for reality. The televised or computer-generated image no longer needs to be anchored in reality – it has become its own simulacrum, its own self-representation. As Baudrillard postulated, this may cause the erosion of our sense of the real. Among the consequences of transiency, we find a weakening of the sense of meaning and of internal anchoring. The interiority of imagination is exchanged for the exteriority of imitation. In fact, Internet plagiarism has become a booming industry, and as has been said, “the intellectual tradition of inquiry is getting lost.” Caught up in viewing images from afar (tele-vision), we tend less to look around, nearby, or within. We search less for the meaning that is carried by the images and the symbols that arise from within the depths of ourselves, from our meaning- and symbol-forming self. Thus, when our ego, as center of consciousness and our sense of conscious identity, is detached from its internal roots, the risk is it may lose its relative sense of unity and wholeness. While this may seemingly increase the ego’s flexibility and speedy adjustment to changing circumstances, the consequence is that it also lends itself indiscriminately to a multitude of appearances. An unintegrated, fragmented ego will all too easily put on any dress, without appropriate judgment –is it moral, what are the consequences? These questions pertain to the required ego functions. In fact, the wide variety of personae, of masks of appearance that are so easily accessible in cyberspace and the post-modern condition, easily take possession of the rootless ego, which may be drawn into a charade of transient (pseudo-) identities, such as blog-pseudonyms and second lives. Plastic has its definite advantages, and we can no longer live without it. However, plastic reflects something being synthetic and artificial, rather than natural and genuine. Plastic can, as well, be recast out of proportion, but what grows out of proportion is carcinogenic. With the benefits of plastic, and the idea and the cultural attitude that we may call ‘plastic,’ come its shadows, such as environmental harm, inauthenticity, imitation and reproduction rather than individual touch and feeling. In a culture of plastic, the way we appear to the world, our persona, may be infinitely recast, find endless manifestations. In cyberspace, we easily hide behind pseudonyms and borrowed identities, whereby individual morality and responsibility are weakened. There is no function of the third, serving as intermediary, boundary and control. For example, a man with a record of harassing women on internet chats, dreams that he is locked up in a prison cell. He hears the voice of an old man, who asks him questions that he must answer in order to be released. However, rather than listening and reflecting, he tries to escape, merely annoyed at the voice calling upon him. If he truly would wake up to understanding his guilt, the need for boundaries, and attending to his conscience, he might listen to the voice calling from within, that requires him to respond (responsibility; respondere, to pledge in return). The dream image portrays his avoidance of responsibility. In a boundaryless space, where everything is free and accessible, and morality is weakening, everything can be borrowed, stolen, plagiarized or imitated. However, when imitation replaces imagination, representation is lost. Is not the ability to re-present basic to civilization? Did Einstein not claim that imagination is more important than knowledge, because knowledge remains limited, while imagination encircles the world? 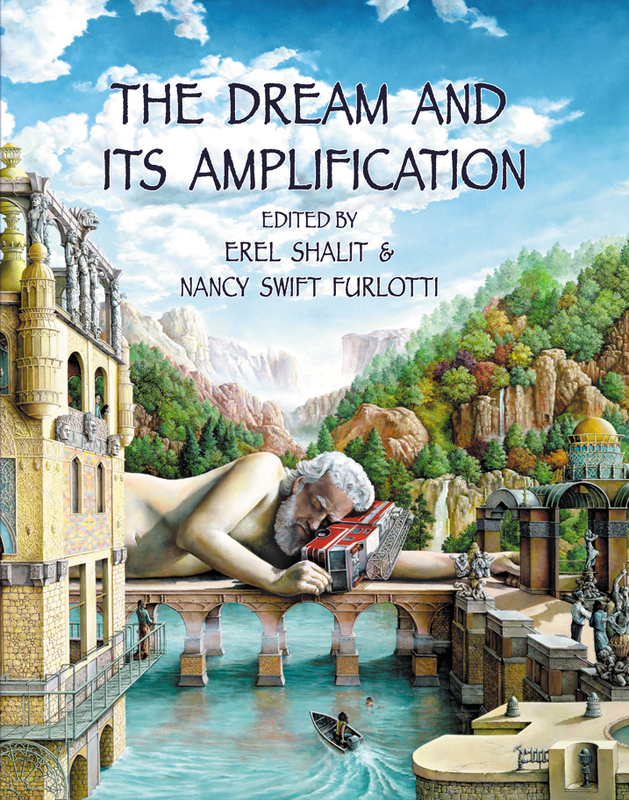 Erel Shalit is a training and supervising analyst, and past president of the Israel Society of Analytical Psychology. He is the author of several publications, including The Hero and His Shadow: Psychopolitical Aspects of Myth and Reality in Israel and The Complex: Path of Transformation from Archetype to Ego. Articles of his have appeared in journals such as Quadrant, The Jung Journal, Spring Journal, Political Psychology, Clinical Supervisor, Midstream, and he has entries in The Encyclopedia of Psychology and Religion. Dr. Shalit lectures internationally at professional institutes, universities and cultural forums. 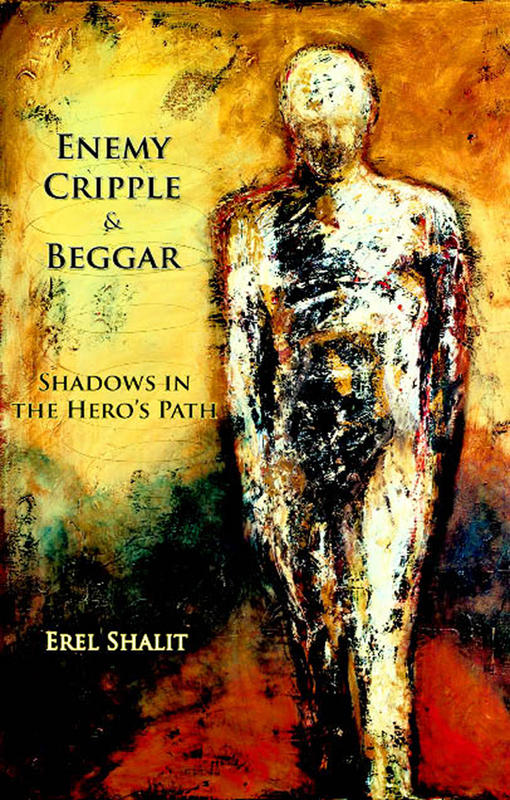 Order Enemy, Cripple, Beggar: Shadows in the Hero's Path by phoning +1-831-238-7799.